The ministry of the prophet Micah began during the reign of the Judean king Jotham (750-732) and lasted until the reign of Hezekiah (729-686). His ministry, unlike that of Amos or Hosea, overlapped the fall of the northern kingdom. He prophesied the fall of Israel and lived to witness it. Following the fall of the northern kingdom, Micah prophesied to the southern kingdom of Judah. There are a number of helpful commentaries on the book of Micah, and the following are five of the best. 1. 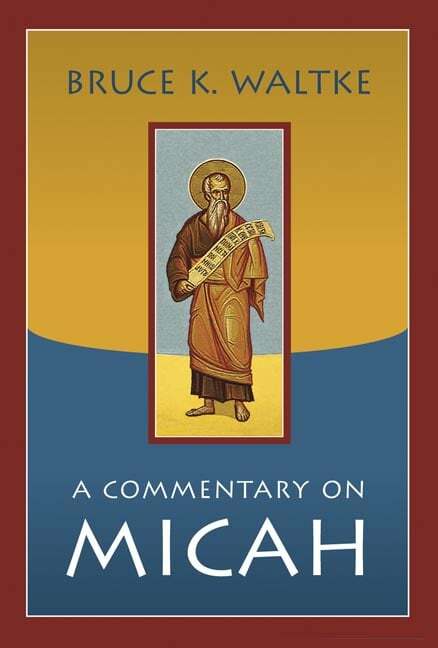 Bruce Waltke — A Commentary on Micah (Eerdmans, 2007). Bruce Waltke has written three commentaries on the book of Micah. The first was a small commentary that appeared in the Tyndale series together with small commentaries on Obadiah and Jonah. The second was a larger and more technical commentary that appeared in the set on the Minor Prophets edited by Thomas McComiskey. This full-length commentary is one step beyond what appeared in the McComiskey volume. It is technical, and some grasp of Hebrew is recommended in order to get the full benefit of the work. There is no contemporary commentator, however, who is more well-versed in the book of Micah than Bruce Waltke. It is a must-have for serious study of the book. 2. 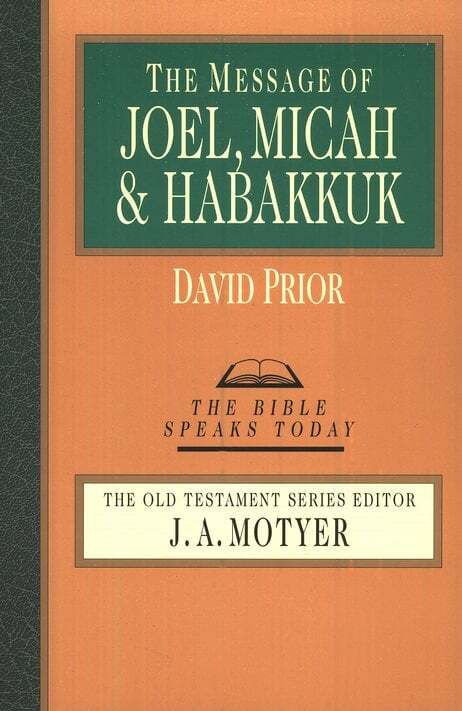 David Prior — The Message of Joel, Micah & Habakkuk (The Bible Speaks Today, 1999). For those seeking a good introductory level commentary on Micah, there is probably no better place to start, aside from Waltke’s work in the Tyndale series, than with David Prior’s volume in the BST series. Highly recommended. 3. 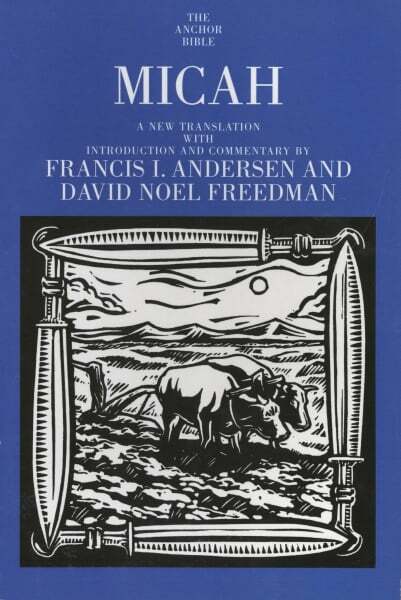 Francis Andersen and David Noel Freedman — Micah (Anchor Bible, 2000). Although written from a more critical perspective than Waltke, the commentary on Micah by Andersen and Freedman is worth consulting by those doing in-depth study of the book. The commentary, at 637 pages, is exhaustive, touching on every aspect of the book. 4. John Calvin — Sermons on the Book of Micah (P&R Publishing, 2003). Although, strictly speaking, not a commentary, this volume of sermons on the book of Micah by the sixteenth-century reformer, John Calvin, should be consulted by all who are interested in this prophetic book. It will prove especially valuable for preachers. 5. 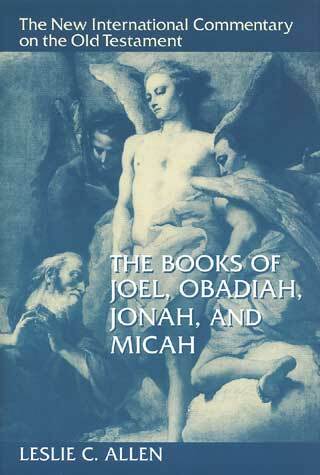 Leslie C. Allen — The Books of Joel, Obadiah, Jonah, and Micah (New International Commentary on the Old Testament, 1976). I have already mentioned Allen’s commentary in a couple of previous posts. It is a slightly technical work, but it should be accessible to most pastors and laymen. There are a number of other helpful commentaries on the book of Micah. Among these are the works by Gary Smith, James Boice, Ralph Smith, Kenneth Barker, and John Mackay.